For nature lovers, Dehradun and Mussoorie is a good place. One of the famous tourist destinations of the Mussoorie is Kempty fall. 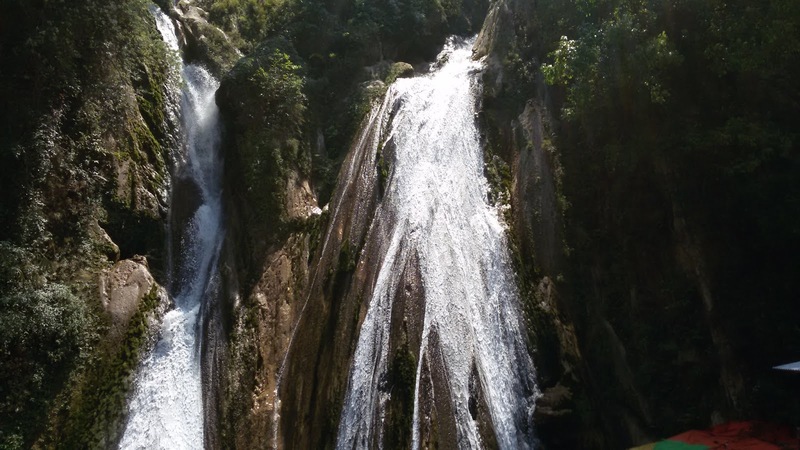 Kempty fall is one of the popular waterfall situated near the Mussoorie. Kempty Waterfall is situated at an altitude of 4500 feet above sea level. 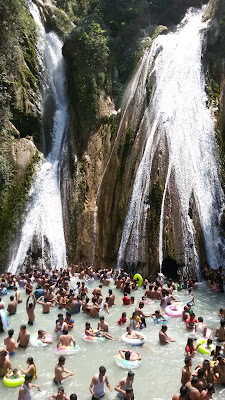 Kempty waterfall, falling from a mountain about 40 feet high, is the largest of the five springs flowing in the valley of Mussoorie. This waterfall, 15 km from the destination site at the distance of Yamunotri is located on the road. Mussoorie is full of captivating surroundings and panoramic views. Due to the waterfall, this place looks so beautiful. Britishers enjoyed here their Tea-Parties during their ruling period on India. 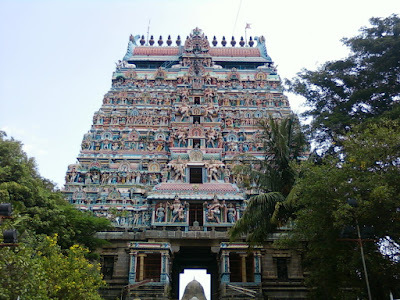 This place was developed as a tourist destination by the Britisher John Mekinan in year1935. Word 'Kempty' was developed from the 'Camp-Tea'. Approximately it is 1364 meters from the sea level. Kempty Falls is situated in high altitude mountains. Between the mountains, Kempty falls looks so nice. The height of Kempty waterfall from where it starts falling is 40 feet. If you go upwards in Kempty Falls from the road you can see there are 4-5 water streams comes from the hills and make a big stream of the waterfall which goes down finally. I personally saw some of the water streams which make the waterfall. If you go upwards from the main road you will found that peoples are also enjoying there, from where water comes to down. That place looks like Sahastradhara and peoples are enjoying in the flowing-water small ponds. Here all facilities are similar to Sahastradhara. There is no entry fee for the Kempty Fall for visiting the place. There are some Water Parks which charges some entry fees. There is also a Ropeway which charges for the going upwards and downwards. There is no opening and closing time for traveling the Kempty Fall. You can come early morning and can go in the late night. But it is best to come in the afternoon so you can take a bath in this waterfall and enjoy maximum facilities available here. You will be easily traveled to this place within 3-4 hours from Mussoorie. Similarly like Sahastradhara, you will get the same facilities here. But unlike Sahastradhara it is a congested area which will be over-crowded during the summer season. I live in Dehradun for many years, so aware of the environment of Dehradun and nearby cities. That's why I planned to travel the Kempty Fall in the month of May. The best time to visit the Kempty Fall starts from March and end in June. From March the summer starts and from June rainy season starts. Between these two seasons, you can plan to travel the Mussoorie and nearby areas. When I visited Kempty Fall, the charge of Ropeway was Rs. 100/- for one way. There was a long line of waiting peoples for their turn in Ropeway. The way to go to Kempty Fall from the main road is similar to Laxman Jhula way in Rishikesh. If you want to go Kempty Fall you have to go Mussoorie and for reaching to Mussoorie you have to come to Dehradun first. The Kempty Fall is approximately 16 km away from Mussoorie and about 46 km from the Dehradun. You can get the easily private cab or taxi from the Dehradun and Mussoorie. There are government buses also at near Dehradun railway station. 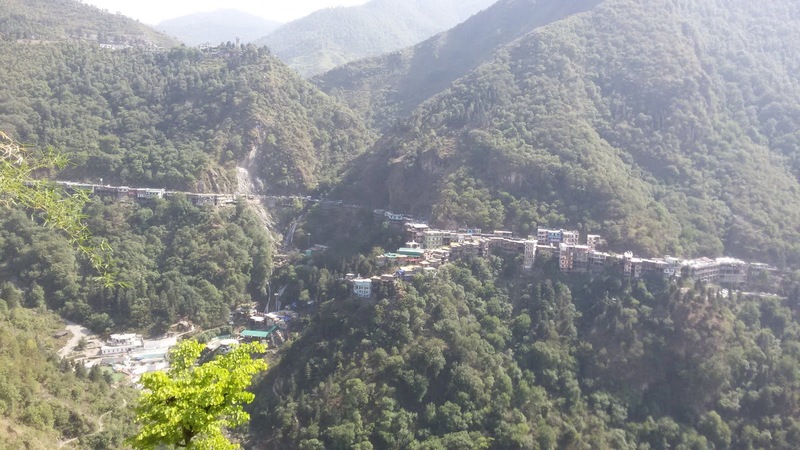 You will reach by Mussoorie by government bus then thereafter you have to take the private bus for Kempty Fall. We first went Mussoorie by government bus then went to Kempty Fall by private bus. Kempty waterfall is over commercialized and congested. It will be best for one time visit during traveling the Mussoorie. I don't think it is a good idea for going especially to Kempty Fall for travel. If you are living in Dehradun or in Mussoorie you can go there easily but if you come from outside or nearby cities then you can avoid it and can go for other tourist places in Dehradun.